This aqueduct is a masterpiece of engineering and inspired many projects all over the world. In this postcard is not possible to have a clear notion of how high it is, but it is very high. The Pontcysyllte Aqueduct is a navigable aqueduct that carries the Llangollen Canal across the River Dee in north east Wales. The 18-arched stone and cast iron structure, which took ten years to design and build, was completed in 1805. 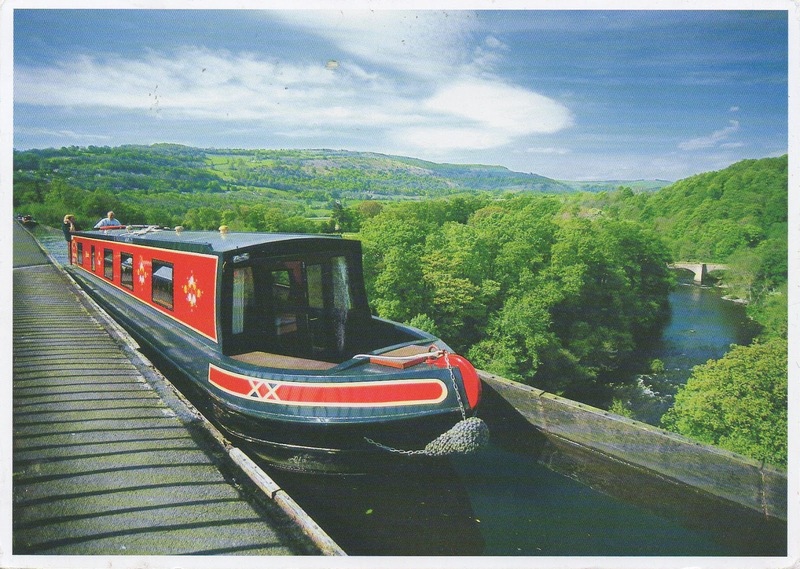 It is now the oldest and longest navigable aqueduct on Great Britain and the highest in the world.